Furutech Flux-50 NCF Brand New!! JaguarAudioDesign.com is an authorized retailer for all Akiko Audio products. The new Akiko Audio Corelli Power Conditioner is the first major high-end product from Akiko and it's a winner! 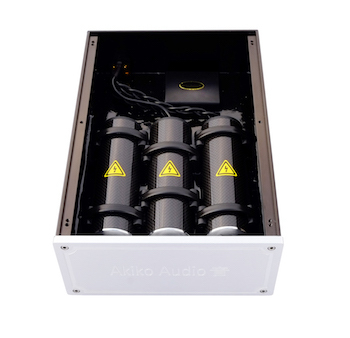 As with all Akiko products this unit will eliminate distortion and noise, without dragging down the dynamics and treble extension...however, this product is substantially more powerful than anything we've offered from Akiko thus far. Jaguar offers a 30-day Free Trial Period and we insist, it must blow you away. We also accept trades of Akiko products, for the original value, up to $300. Note:This unit is not a power distributor (it does not have outlets). It simply plugs into one receptacle of your mains outlet or power distributor and impacts the rest of the system. It will effect all circuits on the electrical panel, especially the mains circuit. "I did NOT want to like the Corelli. I didn’t even want to listen to the damn thing. ...my brain was screaming 'snake oil..."
"where the doors of perception are more than subtly altered. This is the effect of the Corelli, you don’t need to ingest anything to get this effect"
"At the end of the test session, I’m definitely keeping the Corelli around. I still can’t really explain why or how it works, but it does." "Going back to the LP’s I had listened to earlier, it was a night and day difference. Three areas made a major improvement; pace/timing, upper frequency smoothness and the size of the three dimensional sound field painted by the Virtuosos." The Corelli that is barely a week old now sits elegantly on 3 Nordost BC Sort Kones, and is connected to a QB8 power strip that powers my Arcam audio system, comprising a SACD Player, Pre-Amp and dual Mono Amps. The music now propels into an abyss of blackness, where even the most intricate details of the recorded work is revealed with a strong sense of authority. The musical stage has expanded in all directions, and draws you in with an almost uncanny intimacy with the performance. Listening to Anita Baker’s soulful sultry rendition in “You’re My Thrill” (Fourplay: ‘Let’s Touch The Sky’) was simply astounding!" Note:Jaguar accepts payment with Paypal and Debit or Credit Card in the Jaguar Online Store. 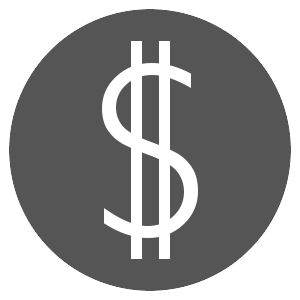 The trial period is free, except for any costs associated with shipping and insurance. Trial period only applies to orders shipped in the US. In the past few years Akiko has gained a lot of experience in power tuning and lowering the noise floor in the rendering chain. This experience has now led to the development of a unique power conditioner: the Akiko Audio Corelli. 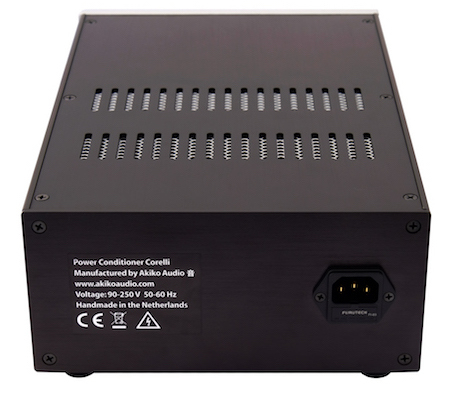 A pioneering reference power conditioner which provides your set with power in a unique way, without the use of electrical components and active power filtering. It reduces noise without negative side effects such as reduced dynamics or natural quality. Internally the Corelli is set up with units made of woven carbon, specifically geared to their task. The neutral, phase and grounding are separately treated. An extra fourth unit is responsible for the harmonization of the internal high frequency radiation field. Moreover, the device is stabilized with black resin to repress unwanted microphonic effects adequately. That our products work has been shown by measurements. Reducing high frequency noise leads to a music rendering in the audio spectrum that is perceived as a more enjoyable experience. A very honest and neutral rendering. Music is experienced as more natural and cleaner. Remarkable improvement of voice rendering and the rendering of acoustic instruments. By lowering the high frequency noise, listening to music becomes more enjoyable; listening fatigue doesn’t get a chance. 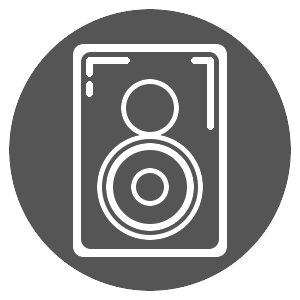 You will submerge deeper into the recording; because of the low noise floor small details become audible, leading to more emotion whilst enjoying your music. Attach to the power strip or socket, whichever your equipment is connected to. The Corelli doesn’t contain any electrical components or active power filtering and doesn’t come with an on-off switch, display or led lighting, to prevent extra contact resistance and unnecessary power pollution. The 8mm thick aluminum front panel is energetically treated. The Akiko Audio Power conditioner Corelli is Hand Made. All soldering is done with a WBT-0800 Silver Solder. Suitable for 90 to 250 Volt, 50-60 Hz. Furutech IEC inlet with fuse holder. Comes with an Audio Grade HiFi-Tuning fuse, with silver melting wire. Note: Worldwide Shipping is Free. Jaguar accepts Paypal and credit/debit card payment through the Jaguar Online Store. Trial only applies to units shipped inside the US, does not include shipping or insurance costs. Check Out Our New 2018 Video of the Jaguar Listening Space! AKIKO AUDIO, ALO AUDIO, AUDEZE, AUDIO MAGIC, AUDIOENGINE, BAKOON PRODUCTS, BURSON AUDIO, CALYX, EAR, FURUTECH, GYROTENSION, HIFIMAN, KEMP ELEKTRONIKS, KONCEPT DESIGN, LAMM INDUSTRIES, LEHMANN, MUSIC HALL, MYTEK DIGITAL, NANOTEC SYSTEMS, ORTOFON, PS AUDIO, RPG ROOM TREATMENTS, SPIN CLEAN, TOWNSHEND AUDIO, TRACK AUDIO, TRIANGLE ART, VANATOO, VIBEX, WYWIRES, ZU AUDIO.